The Salvation Army was founded in 1865 by William Booth, a Methodist preacher who sought to save both the lives and the souls of the thousands of urban poor in London's east end. From England, the Salvation Army spread to other countries. 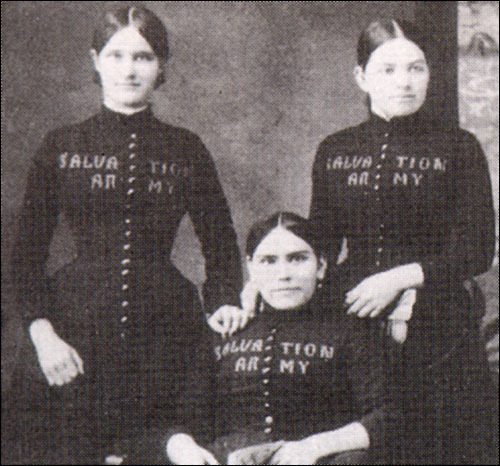 In Canada, the Salvation Army was first established in Ontario in 1882, but it was in Newfoundland that the Salvationists would achieve their greatest success. Emma Churchill became a Salvation Army convert in Ontario. Originally from Portugal Cove, Emma returned to Newfoundland in 1885 to honeymoon with her fellow Salvationist Charles Dawson. Although only visiting Newfoundland, the Dawsons missed the excitement of regular Army meetings, and held the first meeting of the Salvation Army in Newfoundland on September 3, 1885 at the Methodist Church in Portugal Cove. Emma Dawson (nee Churchill), n.d.
Dawson was the founder of The Salvation Army in Newfoundland. She is seen here seated, as a cadet. Courtesy of the George Scott Railton Heritage Centre, North York, Ontario. This first meeting was a great success, and the YMCA in St. John's soon asked the Dawsons to conduct services in the city. 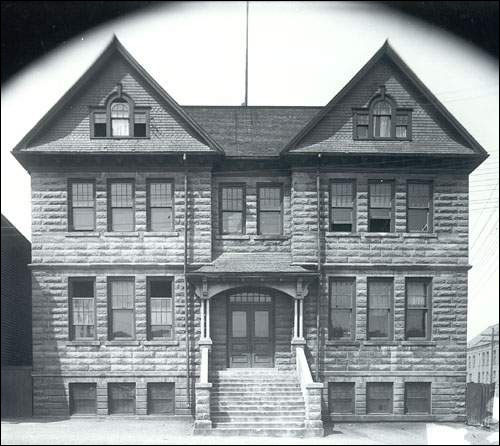 The Dawsons stayed in Newfoundland for five months, and in January 1886 made a request to the Canadian headquarters that an official party be sent to "invade" the island. In late January a group of four female officers arrived in St. John's, soon followed by a District Officer, Arthur Young. This initial group of Salvationists established the first corps in Newfoundland on Springdale Street in St. John's. They held outdoor meetings at the Parade Ground, and marched with their followers through the streets making as much noise as possible. Within two months, the Salvation Army in St. John's had 200 soldiers. 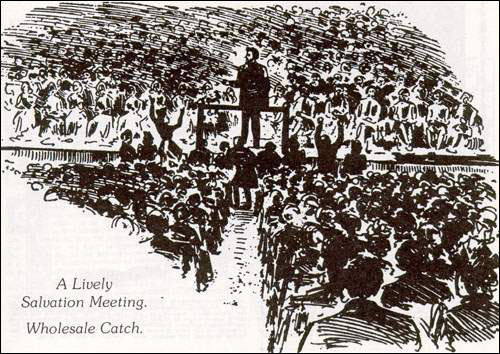 Within two months of Arthur Young's arrival in St. John's, the Salvation Army recruited 200 members. Courtesy of Archives and Special Collections (Col 4-02-032). The rapid growth of the Salvation Army in Newfoundland has been attributed to the novelty and excitement provided by meetings in which soldiers were encouraged to sing and play instruments as expressions of their religious faith. The military ethos was also an attractive feature, as it gave individuals a sense of importance and structure. 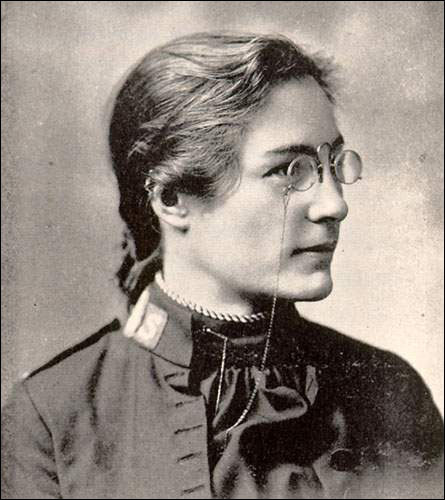 Moreover, women were considered equal to men and were encouraged to participate fully and to become officers: the first corps commander at Springdale Street was Captain Annie Totten. However, just as these features attracted converts, they also generated hostility from the established churches in St. John's. On one notable occasion an outdoor meeting held at the Parade Ground drew a crowd that ultimately turned violent. The Salvation Army posed a particular threat to the Methodist Church, since the spontaneity and fervour of Army services were reminiscent of "old time" Methodism. This was an important factor in the spread of the Army into outport Newfoundland. The north and north-east coasts had a large Methodist population, but there were few ministers outside the larger towns, and many outports did not have regular religious services. The style and structure of the Salvation Army was well-suited to outport communities and was able to fill some of the religious void. The schooner Glad Tidings travelled to remote outports, and made her first voyage to the Labrador coast in 1891. Salvation Army officers were stationed in a community on a permanent basis. However, if there was not an officer present, soldiers could still hold meetings, and meetings could be held anywhere. Members of the Salvation Army often endured public disapproval due to the fervour of Army services. From The War Cry (18 February 1893). The earliest corps outside St. John's were founded in 1886 in Brigus and Carbonear. By the early 1890s there were over 2000 Salvation Army adherents in Newfoundland, with corps in Fortune Bay, Trinity Bay, Bonavista Bay, Notre Dame Bay and on the Burin Peninsula. Many of the early converts were first approached at the docks in St. John's. The Salvation Army barracks were inviting to fishermen who, when they returned to their communities, served as a foundation for subsequent Salvation Army activity. In 1892 Staff-Captain John Read was appointed Divisional Officer. He worked to gain greater official recognition for the Army and through his efforts, Salvation Army schools were legalized that same year, although until 1910 they were under the authority of the Church of England superintendent. Read also gained permission for officers to perform marriages. His wife, Blanche Read, was involved in social work, and made particular efforts to rescue "wayward" girls. In 1894 William Booth made the St. John's corps his first stop on a North American tour. Blanche Read, wife of Staff-Captain John Read, was deeply involved with social work. She was particularly concerned about "wayward" girls. From Mary Morgan Dean, The Lady with the Other Lamp: The Story of Blanche Read Johnston (Toronto, 1919). The Salvation Army continued to grow significantly into the 20th century, spreading to the west coast and later to Labrador. Nevertheless, the most significant growth of the Salvation Army, which had over 20 000 adherents by 1945, occurred in the areas where it was already established. 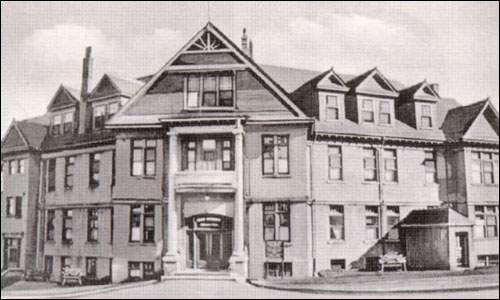 In 1923 the Army in St. John's was able to support the construction of the first maternity hospital in the colony, the Grace Hospital. The Grace was the first maternity care unit in Newfoundland and Labrador. The administration of the Army in Newfoundland and Labrador comprises three divisions: eastern, western and central, with over 30 000 adherents in 1993. Newfoundland and Labrador is the Canadian province with the highest percentage of Salvation Army membership. As a result, Salvationists from the province have played important roles at the national and international levels.